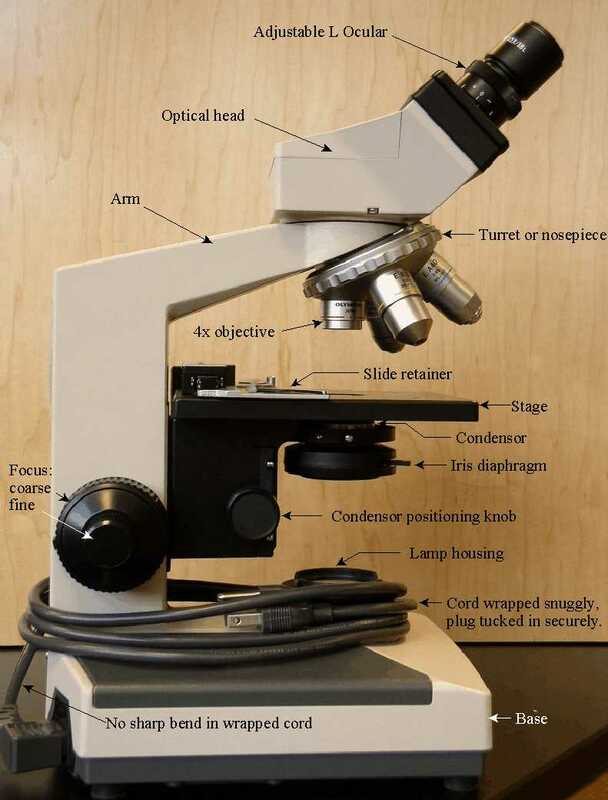 You are responsible for the welfare of the microscope in your numbered seat. Take care of it please. You may also have received a set of slides numbered according to your seat. You are responsible for their welfare also. Keep them clean and in good order. Check to see that they are in proper order and good condition, then sign your name on the label on the slide box cover to take responsibility for them. 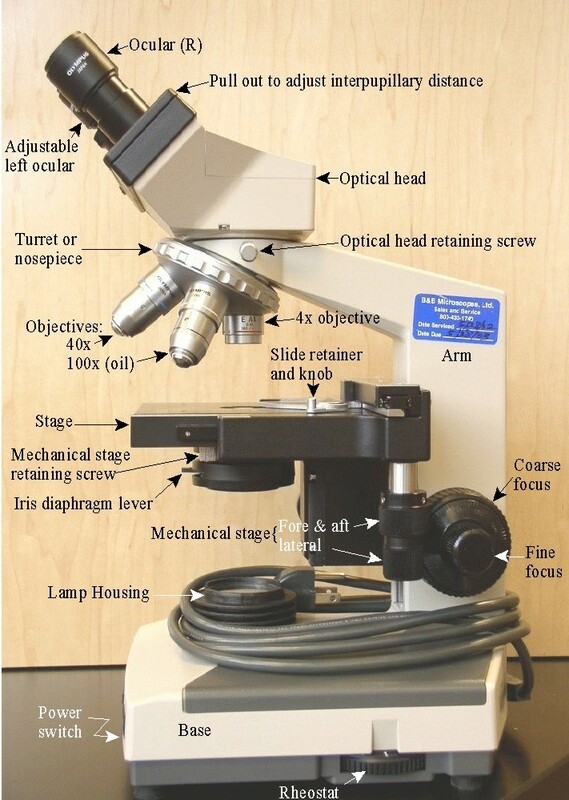 You should be familiar with all the functional parts of the microscope as spelled out in Microscope Features and Care. 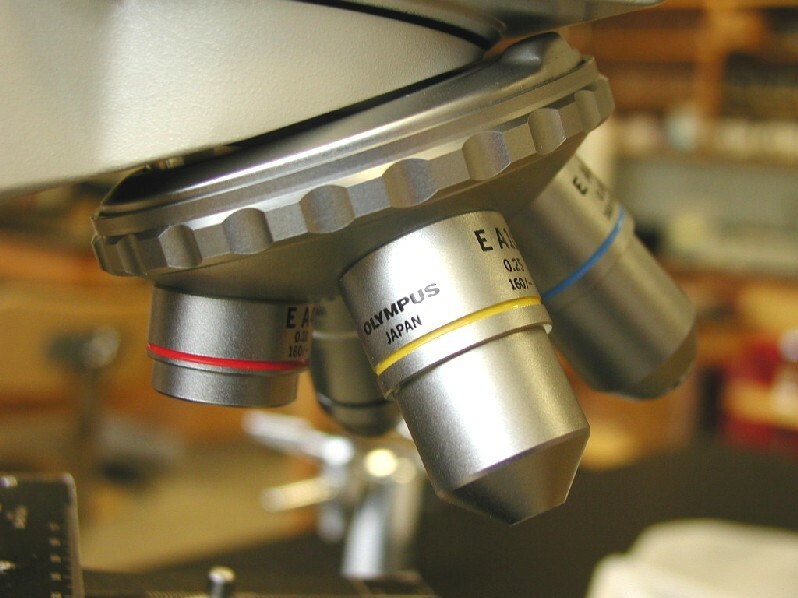 Fill out the Microscope Check-In form in your desk drawer as you are instructed, date and sign your name showing it is in good working order. If the condition is anything but excellent, notify instructor. Lower the stage all the way with the coarse focus. Set the oculars for your interpupillary distance, set adjustable ocular on zero (to start with). Select the 4x objective if it is not already in position by rotating the turret. Handle all slides by the edges only. 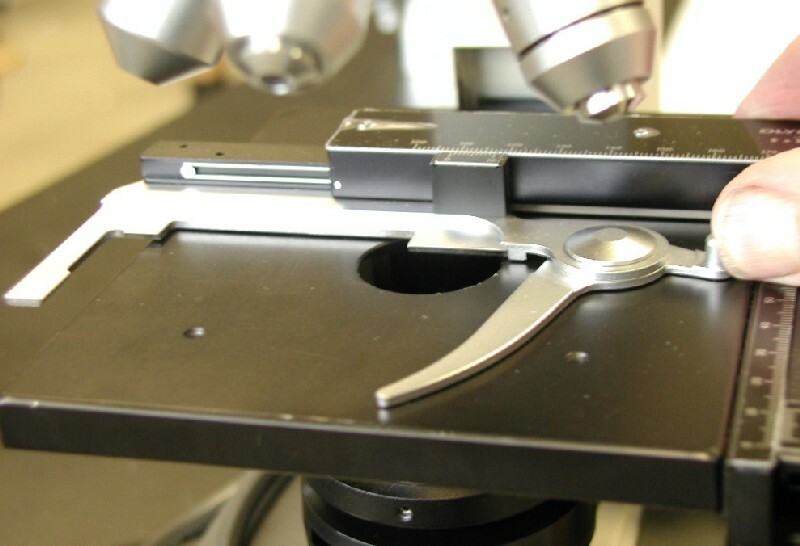 Open the slide retainer by pressing the jaw lever to the right. 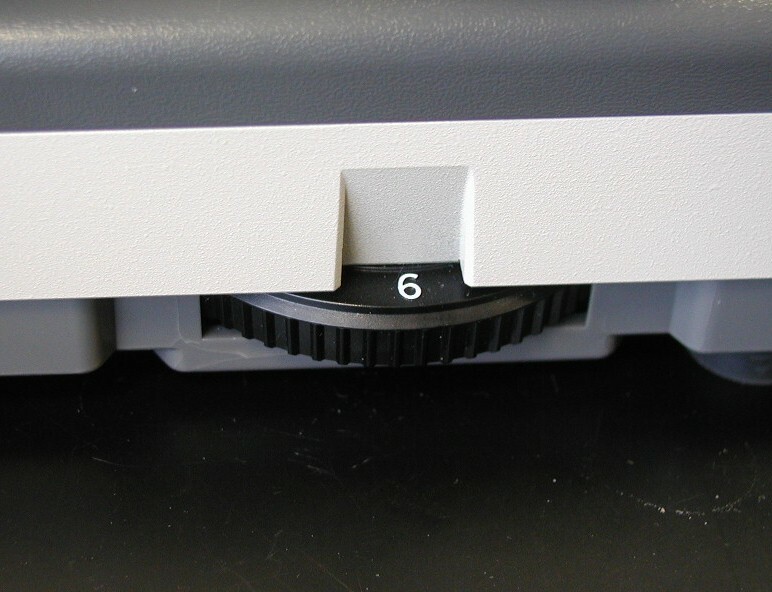 Place the slide into the “L” shaped holder (with the label to the left if it is a prepared slide). Release the jaw lever to clamp the slide into the holder. Center the specimen: Using the mechanical stage, move the slide until the stained specimen is directly over the light of the condenser (the optic center of the stage). View alternately from side and front to get a best estimate of center. Viewing from the side, raise the stage until until the stage stops or the objective almost touches the slide. 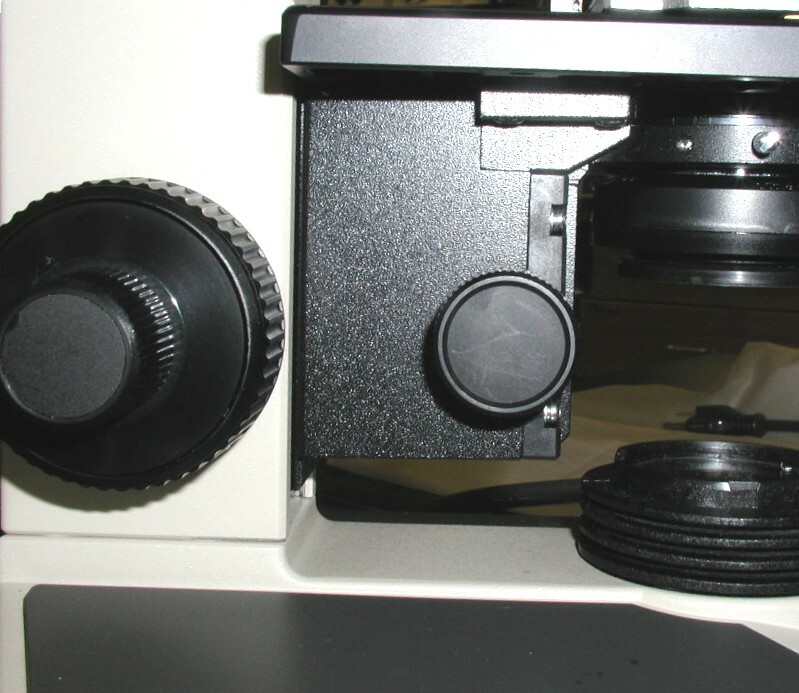 Looking through the oculars, lower the stage with the coarse focus until the specimen comes into focus. 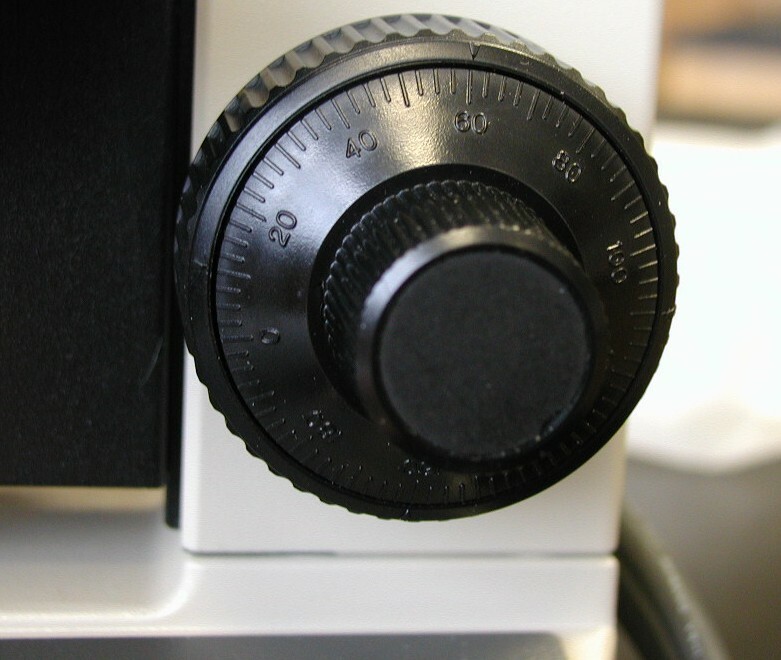 Use the fine focus to refine the If it never appears, re-adjust the position of the specimen nearer the optic center, and repeat the 4x focusing procedure. Scan the specimen to find a field that is characteristic, well spread out and stained. Center the most desirable region. Rotate the nose piece to select 10x objective. (What is the power of the view?) Using only the fine focus, make minor focus adjustments to sharpen the image. Center the image again. 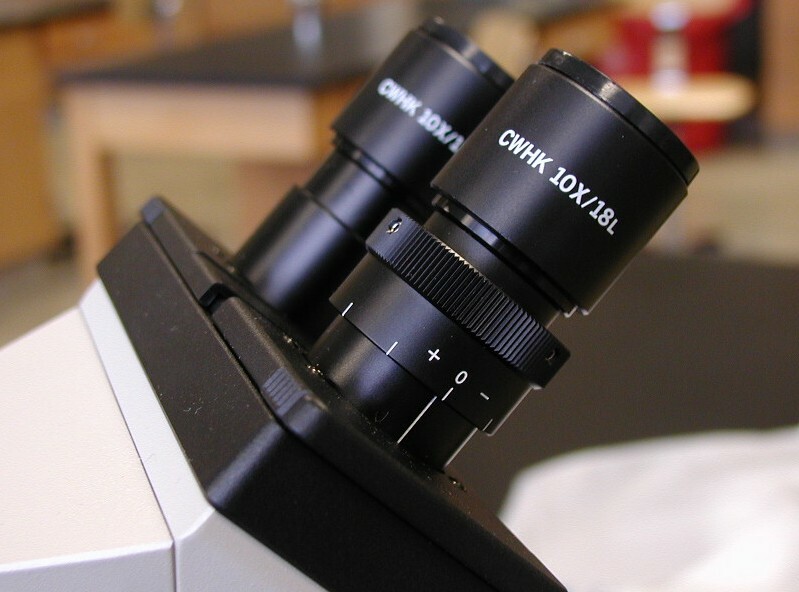 (If you lose the view of the specimen, go back to the 4x objective to find it again and center more carefully. Is the view clear and bright? Rotate the nose piece to select the 40x objective. Make minor adjustments in focus with fine focus. Center the desirable region. 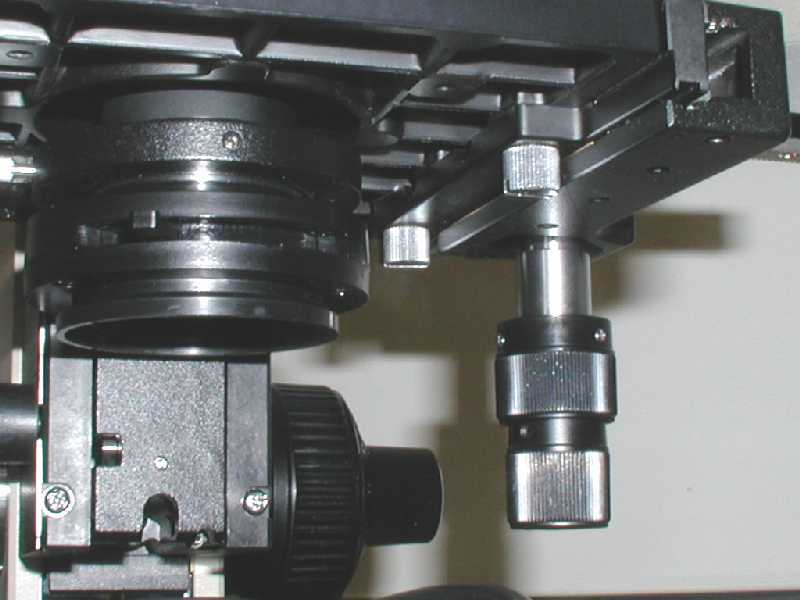 Adjust lighting with the condenser positioning knob and the iris diaphragm. If need be, nudge the rheostat higher to have optimum lighting. To correct for differences between your R and L eyes, look through the right ocular with only the R eye and focus to sharpness. Then look through the L ocular with only the L eye, and rotate the L ocular until the image is sharp. If your eyes are closely matched, the diopter scale on the L ocular should read close to zero. Write the number in your book. Adjust interpupillary distance, write this number in your book as well. Label both clearly. 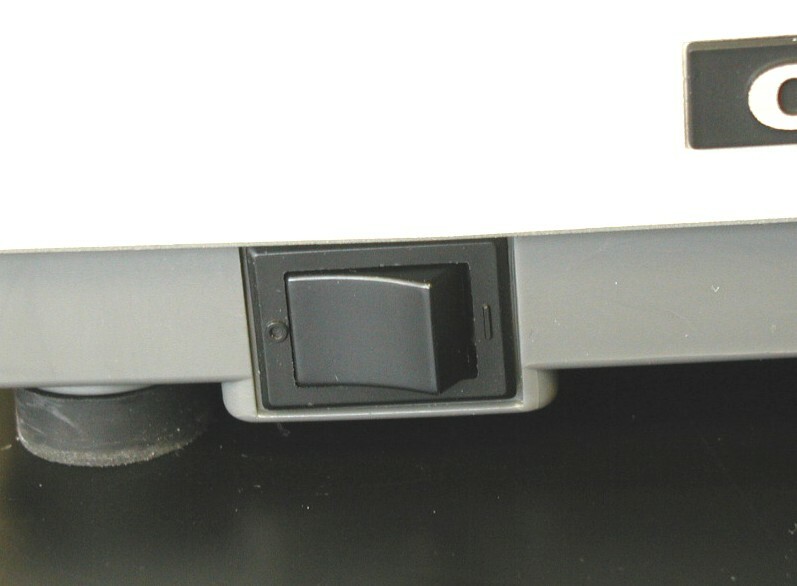 Using the mechanical stage, move the slide to the L. Note that the image moves in the opposite direction of the actual slide. Is the view bright and clear? If so, write excellent under both 4x objective and ocular columns. If the view is hazy, clean with lens paper. 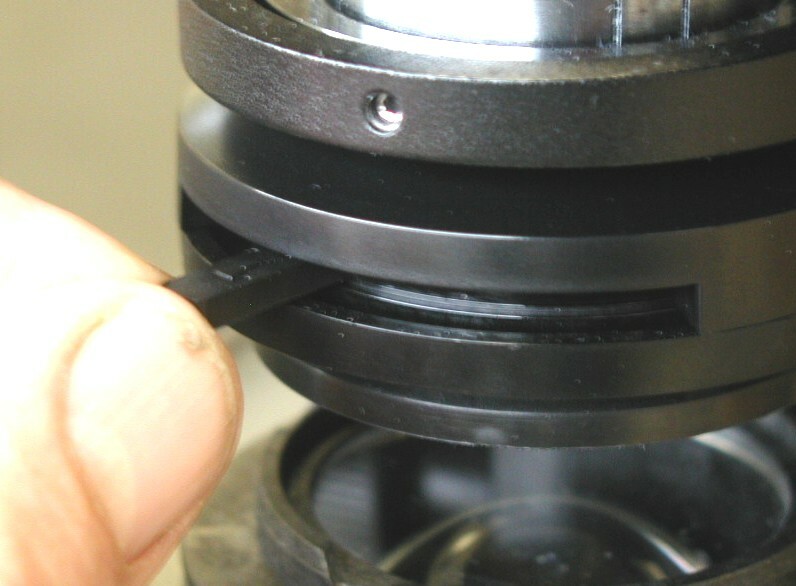 2: Return the 4x objective to the viewing position. 4: Wrap cord snugly, no sharp bends, tuck in plug. 5: Replace dust cover, return to storage, arm towards you. 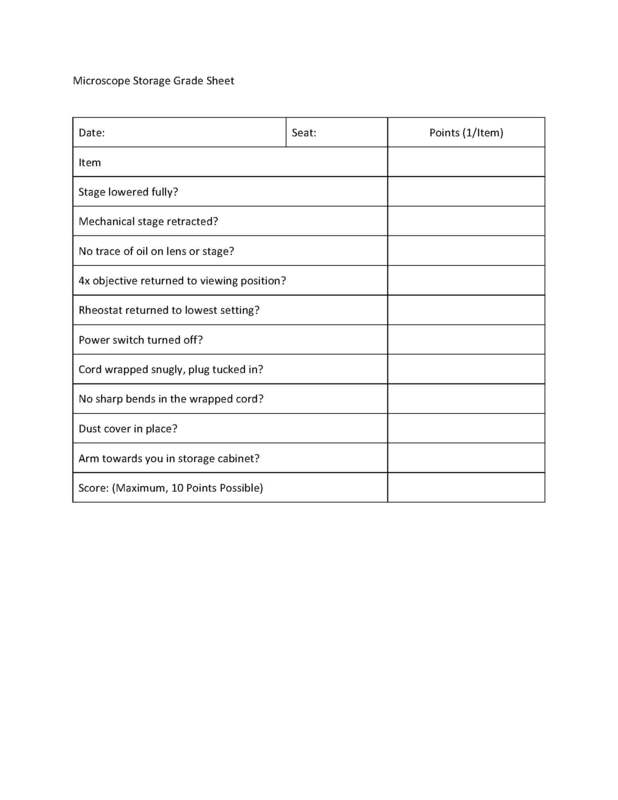 6: Report any problem with the instrument immediately. Use a Precise V5 permanent black pen for all primary entries (You may add color to the line drawing later.) Mount the provided name plate on the front of the book as shown.